Welcome to the Temecula Valley’s trusted plumbing company, serving south Riverside County, Fallbrook and Rainbow. Our friendly qualified plumbers can solve any of your plumbing problems, from leaks to home improvement. Even re-piping your entire home. We are experienced and ready to help you. Have you ever wished you could know what is blocking your sewer line? 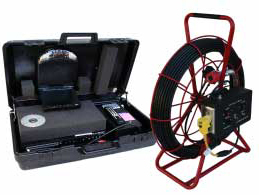 With a sewer camera we can find the problem and know exactly where it is. Using leak detection equipment we can pinpoint where your pipe is leaking under the concrete slab. The owner, Mr. Roger Miller, has been a plumber for over 26 years. Roger and his employees are plumbers you can count on.